"What's next?" 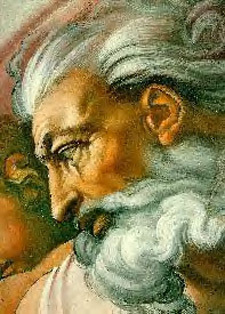 Christian nationalists cry, in the wake of the "Under God" ruling; "Will they take "In God We Trust" off our money?" It's said with the indignant tone of a suggestion too absurd to be contemplated. But it ought to happen. "In God We Trust" got inscribed on the money after a coalition of Protestant church groups failed to rewrite the Constitution to "indicate that this is a Christian nation." They failed in Congress and in the states, but amongst their supporters was a director of the U.S. Mint during the Civil War. After getting Congress to grant him the power to control the design of the coinage, he promptly Christianized America's cash. Not all Christians approved. Theodore Roosevelt (no fan of atheists) wrote that "to put such a motto on coins ... is in effect irreverence, which comes dangerously close to sacrilege." He sought to remove it when the currency was redesigned under his presidency, but he had to back down under political pressure from the church people. It's hard to know what Thomas Jefferson and James Madison would have made of Teddy Roosevelt overall, but they would have agreed with him on this. Madison and Jefferson were the two men most responsible for what we call separation of church and state in America. True, the phrase itself is nowhere in the Constitution, but it permeates their writing and thinking on the topic, and that of their mentors, especially the Enlightenment philosopher John Locke. The separation doctrine was meant to protect religion, not to dishonor it. Mixing religion with civil authority was wrong, the Founders knew, because it was wrong, as Roger Williams put it a century before, "to pull God and Christ and Spirit out of heaven and subject them unto natural, sinful inconstant man." To Madison, it was precisely because, "It is the duty of every man to render the Creator such homage, and such only, as he believes to be acceptable to Him," that religion ought to be "wholly exempt from" the "cognizance" of "civil society." Jefferson and Madison were devoted believers in pure Christianity. But by this they did not mean the evangelical Protestantism that is dominant in America today. Jefferson meant Unitarianism. He was widely denounced as an atheist in his day for denying the divinity of Christ and the virgin birth. Madison commended sects (he mentions Quakers and Mennonites by name) that relied on no "compulsive support" to spread their doctrines and avoid "pride and indolence in the clergy, ignorance and servility in the laity, in both superstition, bigotry and persecution." As American courts overturn customs such as official public school prayer and city-sponsored manger scenes, they may have outrun popular opinion, but they have not outrun the Founders. Madison went so far as to propose that the national census should not list "religious minister" as an occupation since "the general government is proscribed from the interfering, in any matter whatever, in matters respecting religion; and it may be though to do this in ascertaining who and who are not ministers of the gospel." Madison also made it clear that he did not merely mean the federal government. He meant all levels of government. He wrote about civil society as a whole. 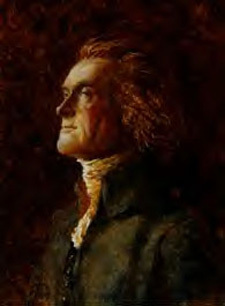 Jefferson, oddly, is being cited by Christian nationalists in the wake of the "Under God" ruling by the 9th Circuit Court. They overlook that this is the same Jefferson who went after the Bible with scissors and a pot of glue, and edited it to suit his notions of what Jesus really meant to say. Instead, they focus on his mention of "the Creator" in the Declaration of Independence. The men who led America's colonies to break with Britain and set up their own government faced the challenges of all lawgivers: To convince a people to change an entire mode of government, to convince the privileged to give up certain privileges and everyone to take a risk on something untried. They had to somehow set up the social institutions without first having the social spirit which those institutions would foster, and which would ultimately sustain them. Throughout history, people in such positions have proclaimed divine authority, or guidance, for what they were doing. Xenophon writes that Lycurgus wrote a set of laws for the Spartans, then asked the Delphic oracle to affirm them. Other sources [Plato] say Lycurgus went to the oracle first, and got the laws from it, which may have been what Lycurgus told people. George Washington was no less a separationist than Madison and Jefferson. He had had first-hand experience with the problem. As commander in chief, Washington outlawed New England regiments' "Pope's Day," as offensive to his Catholic soldiers. In 1777 he opposed a congressional plan to appoint brigade chaplains in the Continental Army. "Among many other weighty objections to the Measure," he wrote to John Hancock (then president of Congress), "it has been suggested, that it has a tendency to introduce religious disputes into the Army, which above all things should be avoided, and in many instances would compel men to a mode of Worship which they do not profess." As for "In God We Trust," I prefer what was written on the money back in 1787, when the Constitution was framed: "Mind Your Business." � July 4, 2002 Douglas Harper Moe: "Say, what's a good word for scrutiny?" Shemp: "uh ... SCRUTINY!"